There is a lot of gear and accessories that you can buy for your motorcycle that don’t necessarily fit into a defined category. 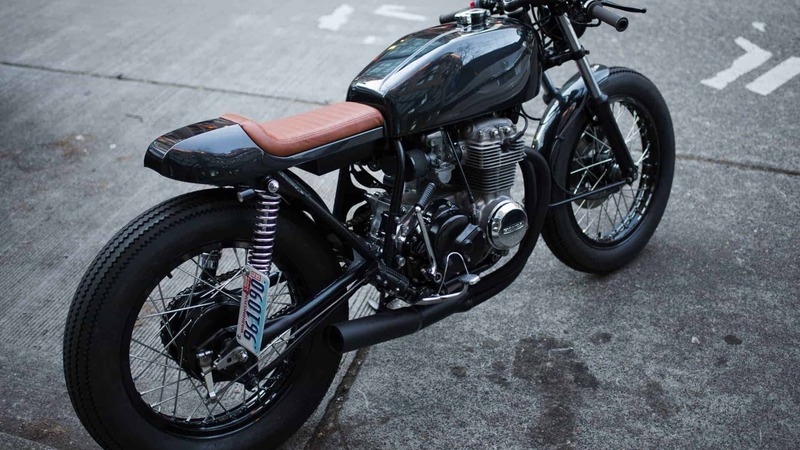 A lot of these accessories are items that you don’t even know you need unless you just happen to come across them but can make motorcycle ownership so much more convenient and straightforward. Here we have compiled a list of motorcycle gear that we think you will find useful in everyday life, and best of all, most of it is pretty cheap and affordable. This section will be updated regularly giving you access to some of the best motorcycle gear and accessories on the market. Riding your bike in cold weather and low temperatures can be uncomfortable at best and painful at worst. Wind chill is no laughing matter as the effects of cold are magnified when travelling at speed. 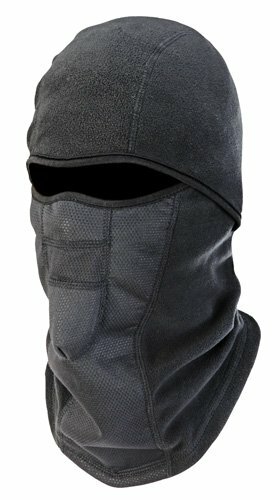 This motorcycle mask or balaclava will do a great job in keeping the important bits of your face warm and protected to keep you riding for longer. When not in use, simply store in your backpack. This full faced black motorcycle mask will go even further in keeping you warm than half faced variants. 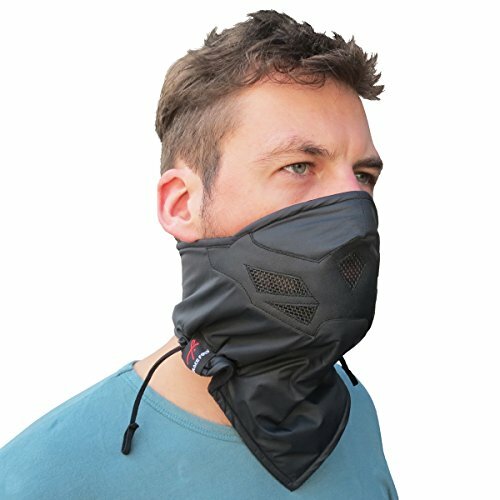 Although thick, this mask will easily fit underneath your helmet and act as a warm insulating base layer, keeping that wind off your head. Not all of us like using a tinted visor as they are illegal in some areas for road use. They also can’t easily be swapped out mid ride if the weather takes a turn for the worst. For some, a better idea is a pair of sunglasses that are designed to be worn underneath your helmet. 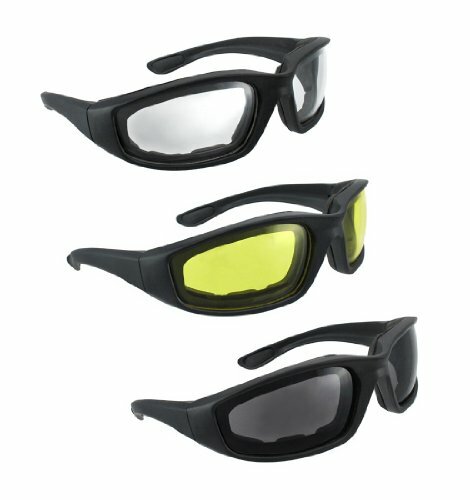 Available in a variety of styles and lens colours, there is no reason not to have a pair of these in your bike’s storage compartment. Getting lost is easy which is why many riders choose to ride with the aid of a GPS device. This can either be a purpose built satellite navigation system or your smartphone’s map app instead. Either way you’re going to need to mount it on your bike’s handlebars so what better way than this RAM mount? Not all of us have the luxury of a garage so need to keep our bikes outside. 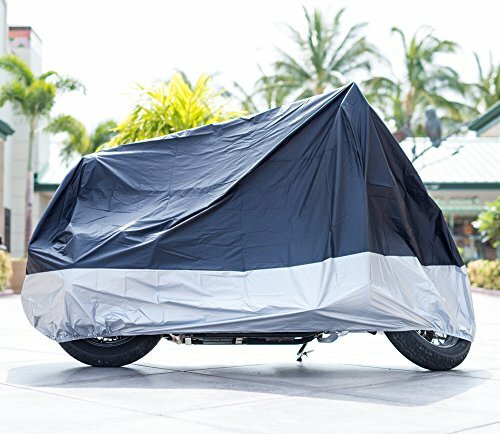 Sun and rain exposure can wreak havoc on any bike’s finish so to protect yours and to keep it out of sight of prying eyes, invest in a motorcycle cover. You too can pretend your garage is a race team’s pit bay with a set of paddock stands. Perfect for cleaning and lubricating your chain as you can elevate your rear wheel and performance motorcycle tires off the ground. 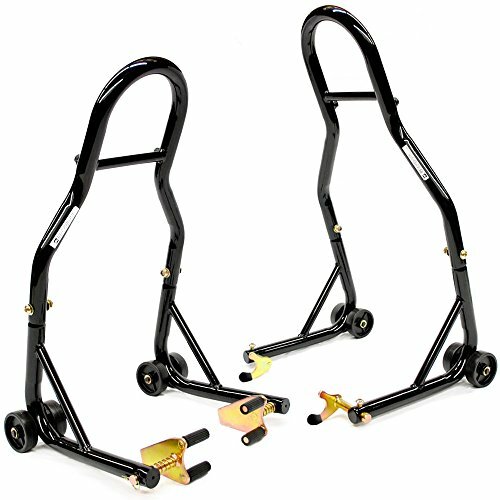 You will likely need a set of bobbins on the rear swing arm to allow these to hook onto and the same on your front fork. This item comes as a set of two, front and rear, for the price you would usually pay for one. Getting your bike into the back of a van isn’t easy without a set of ramps. 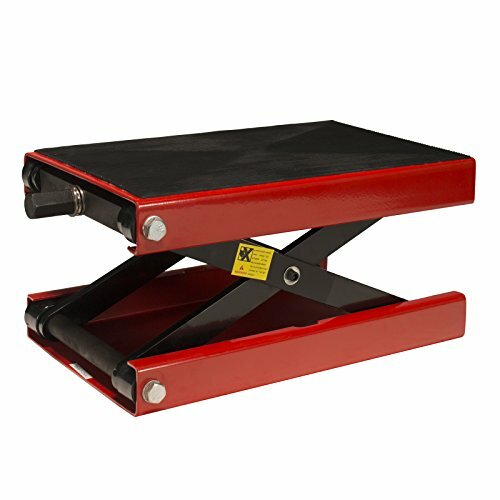 These 7.5ft folding aluminium ramps are a must have for those who regularly take their bikes to race or track days. 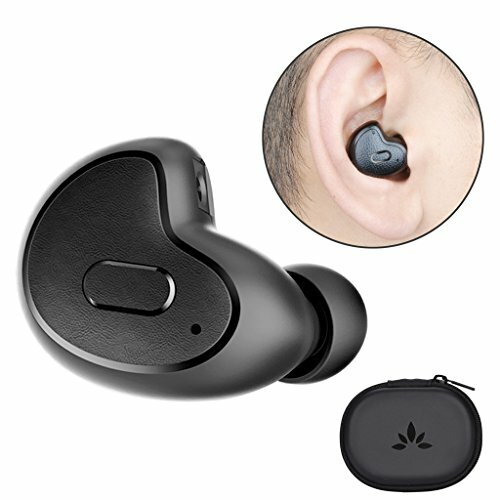 This Bluetooth headset is unlike all the rest we have ever seen on the market. Rather than install it into the side recess of your helmet, this headset acts as an earbud and just sits in your ear instead. 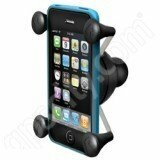 You only get the one which is designed for your right ear but this is more than enough to hold a phone call comfortably. It will also work with your GPS system so you can hear where you’re supposed to be going. If you’ve ever wanted to attach a set of speakers to your bike then look no further. 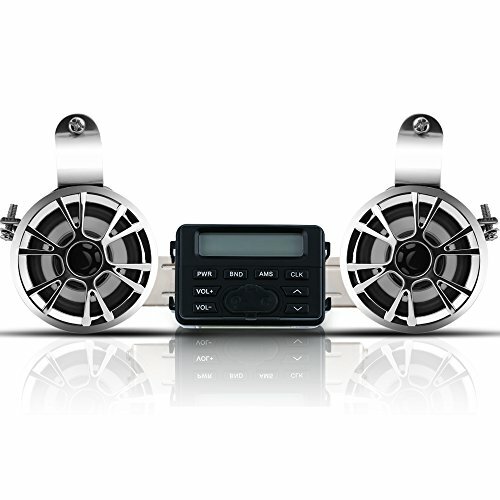 With these Bluetooth speakers you’re able to wirelessly stream audio from your smartphone, allowing you to listen to the music that you want as you roll down the strip on your cruiser. More and more bikers are beginning to service their motorcycles at home rather than make expensive trips to a main dealership. Making use of a motorcycle dolly is a great way to make this process as easy as possible. This scissor lift will revolutionise the way you maintain and work on your bike, making it easier to complete those previously awkward jobs. Strong enough to lift a 1100 lbs motorcycle. 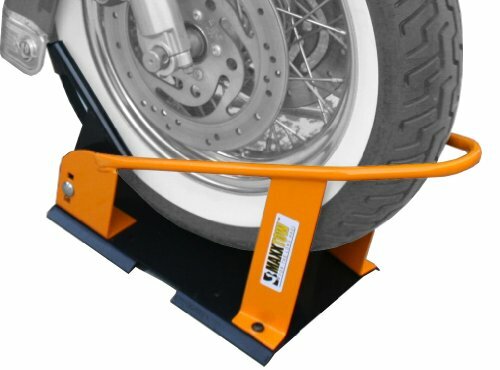 Make transporting your bike easier with a wheel chock that allows you to lock a wheel in place. 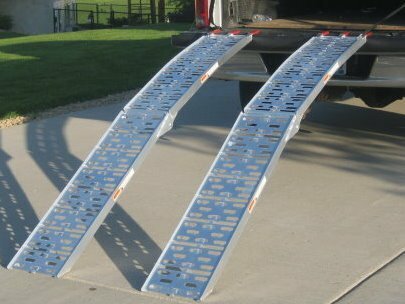 Vital for the use of trailers and handy for those who load their bikes into the back of vans and pickup trucks. Your bike’s tire pressures should always be checked from cold to ensure an accurate reading. This means that riding 10 miles to your nearest garage in Summer temperatures is less than ideal. 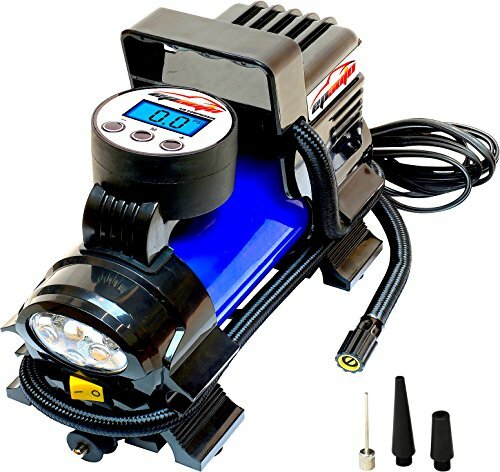 With this air compressor you’ll be able to check your tire pressures and inflate as required from the comfort of your garage. 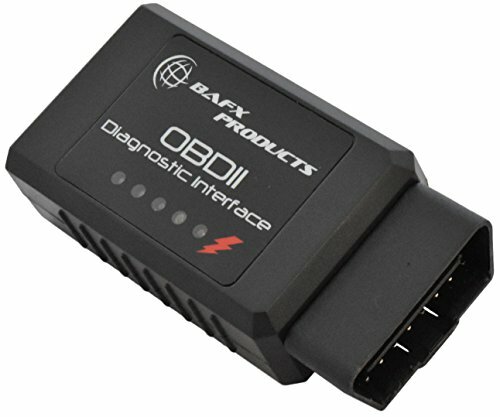 With the onset of low cost diagnostics tools you are now able to scan and diagnose fault codes and check engine lights without the need for an expensive dealership visit. Simply plug this code reader into your bike’s OBD port and wirelessly connect to your smartphone via Bluetooth where you’ll be able to see exactly what is wrong with your bike. And there you have it, our must have motorcycle gear and accessories for 2018! We haven’t listed one here but we also suggest purchasing a good car and motorcycle battery charger to keep your automotive battery in tip top condition year round. Simply leave it plugged into your motorcycle’s battery when not in use and you’ll never experience a flat battery every again. A good battery tender will set you back no more than $100 so consider it a good investment.